Skydance, a diversified media company that creates event-level entertainment for global audiences, today announced that Jesse Sisgold has been promoted to President & Chief Operating Officer, effective immediately. Sisgold previously held the title of Chief Operating Officer since 2014. He continues to report to Chief Executive Officer David Ellison. Sisgold’s promotion reflects his increased role in helping to set and execute the overall strategy and growth plan for Skydance Media, while managing key operations across all units. Sisgold also oversees the following divisions: business affairs and business development, interactive, international acquisitions and sales, and licensing. 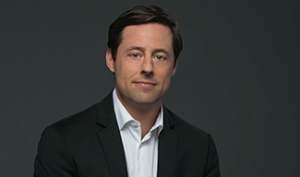 “To be part of the leadership team of a company that is on such an accelerated growth trajectory and expanding in all the right directions is incredibly gratifying and I am excited about the very bright future ahead for Skydance,” said Sisgold. In 2016, Sisgold helped to lead Skydance’s first acquisition – of leading game developer The Workshop Entertainment – to form Skydance Interactive. Also in 2016, he worked to establish Skydance’s first China film co-production with Alibaba Pictures. Sisgold oversaw the formation of Skydance’s global television distribution pact with Lionsgate in 2015, which resulted in the launch of Skydance International. In 2015-2016, he oversaw the company’s global film distribution and co-financing pacts with Paramount, Sony, and Warner Bros., as well as distribution and co-production pacts for its current television series with ABC, Amazon, AMC, DirecTV and Netflix. Prior to Skydance, Sisgold served as the managing shareholder of his own boutique entertainment and venture capital law firm and launched the graphic novel and augmented reality company Anomaly Productions. He began his career at Heller Ehrman LLP. Sisgold serves as a board member of UCLA’s Institute of Environmental Sustainability and Angels at Risk. He is a member of the Television Academy. He earned a J.D. with honors from the University of California, Hastings and a B.A. with honors from the University of California, San Diego. As part of today’s announcement, the Company has also entered into new multi-year contracts with Chief Creative Officer Dana Goldberg, Chief Financial Officer Larry Wasserman, Chief Marketing Officer Anne Globe, and President of Television Marcy Ross. Today, Skydance is a leading producer of major Hollywood studio films and television shows. Since its inception in 2010, Skydance has produced 12 feature films, which have cumulatively grossed over $4.3 billion in worldwide box office receipts. The Company’s 2017 film slate includes Life with Sony on March 24th, Baywatch with Paramount on May 26th, Geostorm with Warner Brothers on October 20th, and Annihilation with Paramount. Skydance Television was launched in 2014 and is currently slated to produce six original series across multiple networks. Skydance has over the past twelve months significantly expanded its business operations by increasing the production of both feature films and television series as well as launching Skydance International and Skydance Interactive.